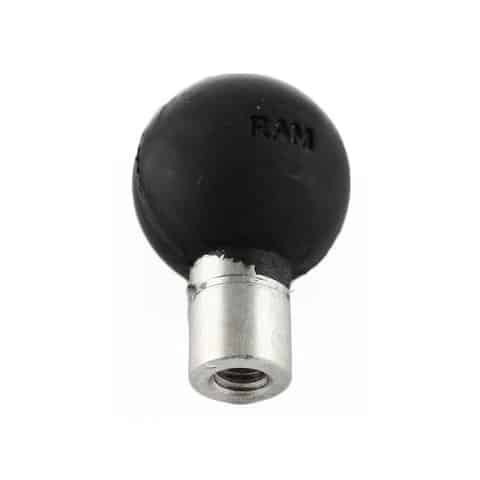 The RAM-B-217U consists of two 1″ diameter rubber balls connected to a post and 2.5″ diameter round base. 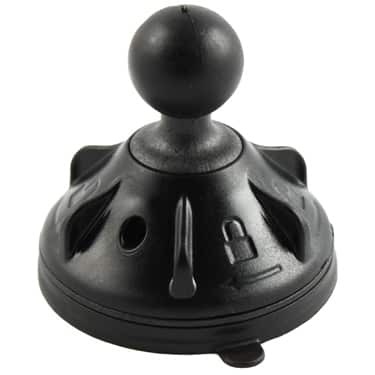 The round base has pre-drilled holes, including the universal AMPs hole pattern and 3-hole 120 degree pattern. 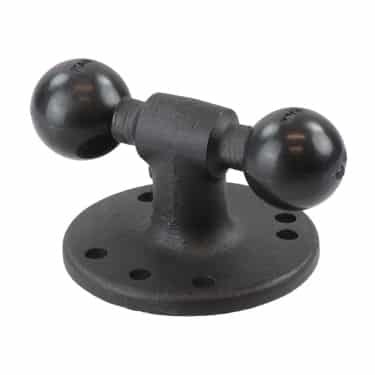 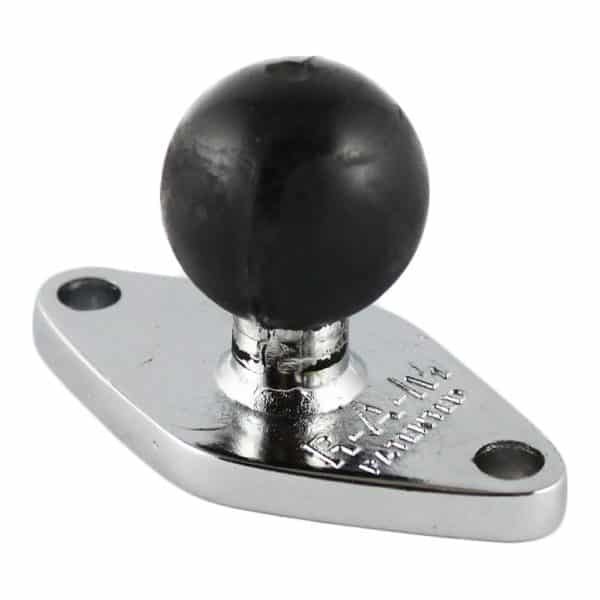 The 1″ balls measure center to center 2.5″ apart.